Contact me to be your personal chef for your next dinner party. Call or e-mail directly or fill out the contact form below. 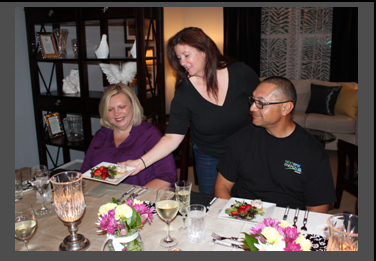 I will call you to go over the details of your event and I will schedule a pre-dinner meeting at your house to finalize your plans and to become familiar with your kitchen. This ensures all goes smoothly on your special occasion. I also provide cooking lessons on wild game preparation. Contact me to discuss your specific needs.